On Sunday, September 24th, The Gift of Life, Inc. held its annual Agnes Trill Funk Kids for Kids Walk at Morgan Park in Glen Cove, New York. Over 150 people attended and $15,000 was raised to fund life-saving surgery for children suffering from heart disease. 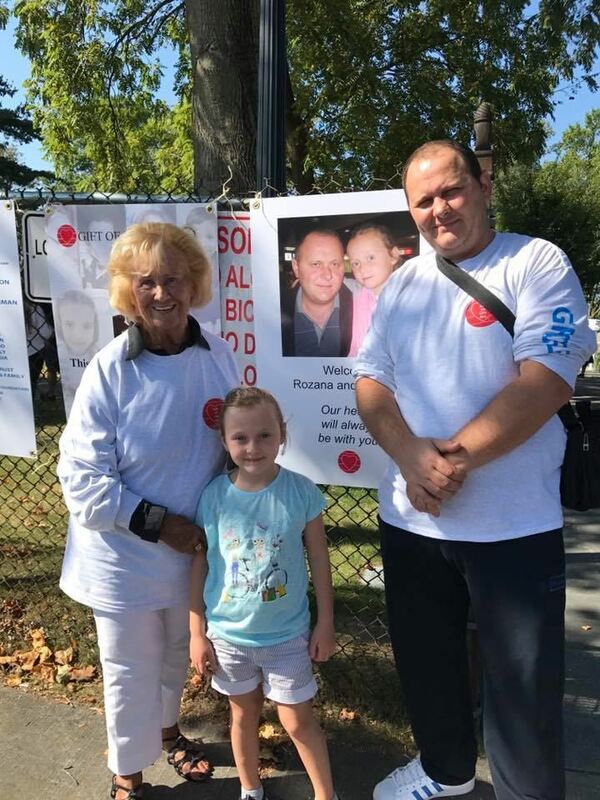 This year's Grand Marshalls were Ken and Margaret MacPherson of the Queens Borough Rotary Club and this year’s walk is dedicated to the memory of Jim Gentilcore for being a strong supporter of the Gift of Life for more than 25 years. Special thank also go to Good Times Productions for being a great friend of The Gift of Life, Inc. and to the many volunteers and sponsors who helped make this event so successful and so much fun. Really, The Gift of Life, Inc. expresses its deepest appreciation to everyone who supported the event. Thanks to your generosity more children will receive the gift of life! Pictured at left is Gift of Life Board Member Eileen Gentilcore, whose late husband James was honored and Gift of Life patient Rozana and her father Emrulla Gashi, who are from Kosovo.